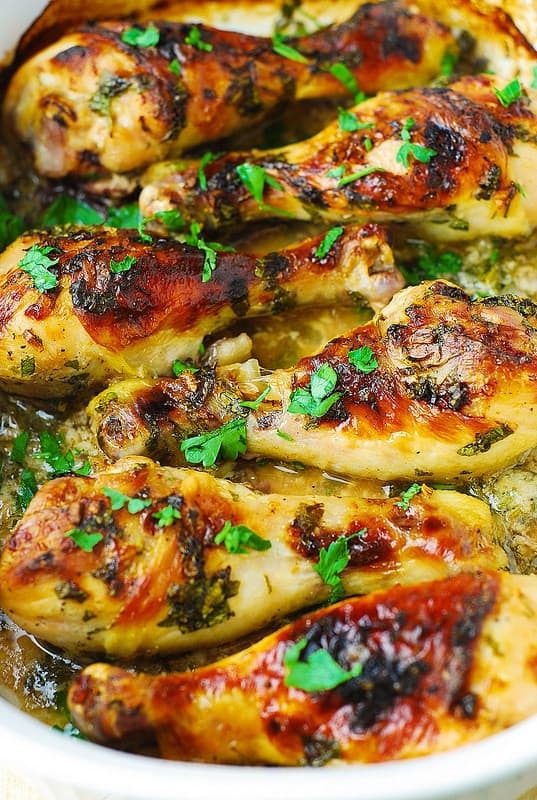 Buttermilk Roasted Chicken – the chicken is very moist, tender, and super flavorful! 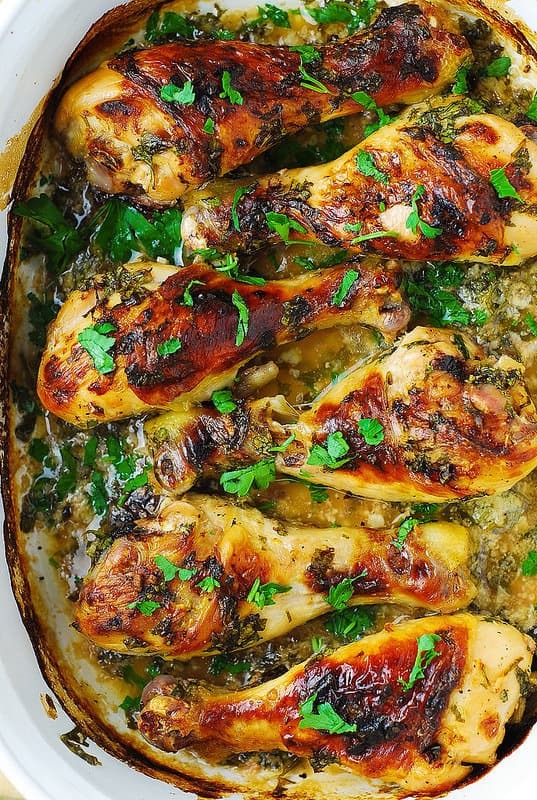 This recipe is a healthier way to make chicken drumsticks taste delicious – they are marinated in buttermilk, garlic, fresh parsley, salt and pepper for 24 hours before roasting (baking in the oven at 400 F). This ensures the chicken tenderizes and gets infused with delicious flavors! 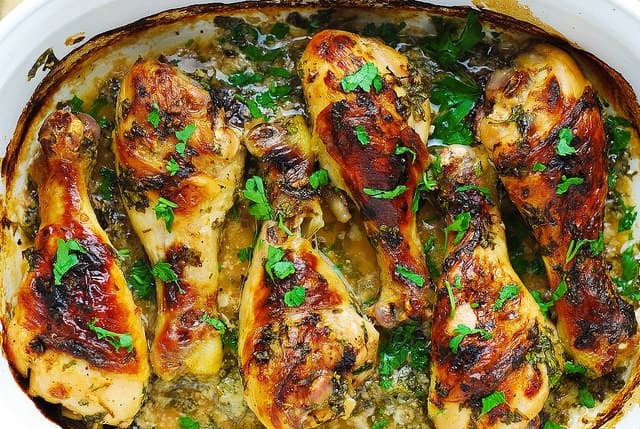 You’ll love the simplicity of the buttermilk roasted chicken recipe. 10 minutes of preparation: making the marinade and pouring it over the chicken. 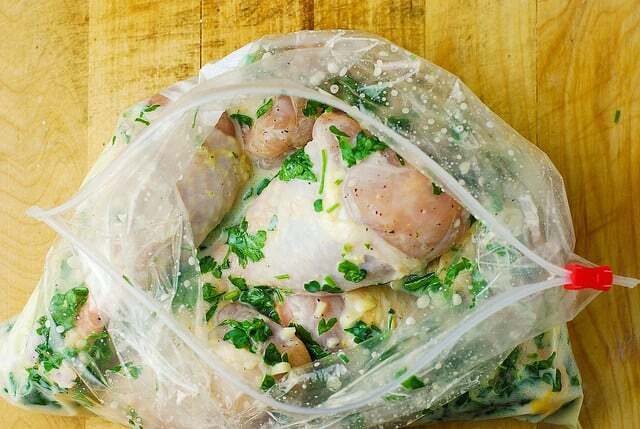 24 hours idle time: your chicken sits in a freezer bag with buttermilk sauce poured over it in the fridge. Finally, bake your chicken at 400 F the next day! After your chicken has been marinated for 24 hours, preheat oven to 400 F. Use a medium size casserole dish – I used 2.5 quart oval casserole dish ( 13 inches * 9 inches *4 inches deep). 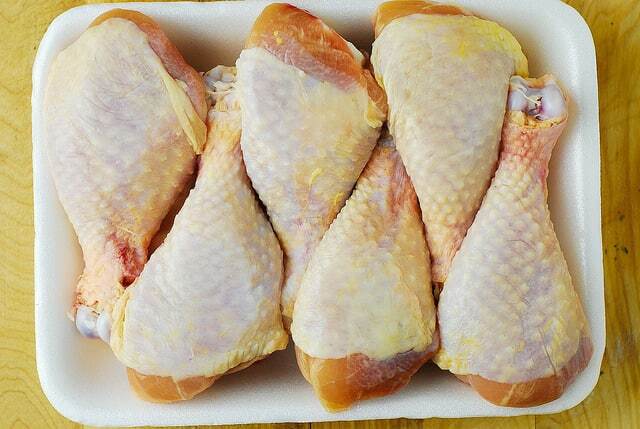 Place chicken in the casserole dish – and pour all of the marinade on top and around the chicken. Bake in the oven at 400 F for about 30-45 minutes (depends on your oven), until chicken juices run clear, the chicken drumsticks are browned and scorched in spots. If needed, broil for about 5-10 more minutes to get more color. Serve immediately, use the sauce from the pan. 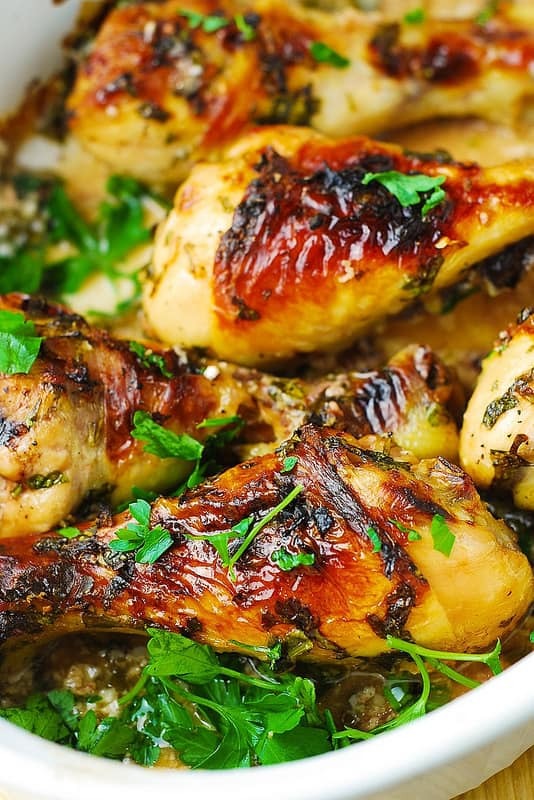 This Buttermilk Roasted Chicken recipe is a healthier way to make chicken drumsticks taste delicious. 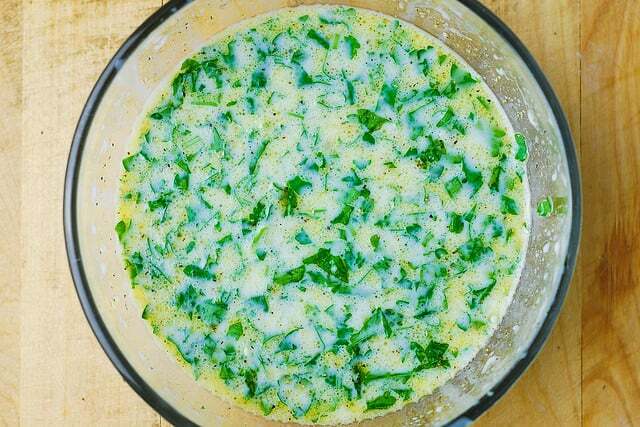 The chicken is marinated in buttermilk, garlic, fresh parsley, salt and pepper for 24 hours before roasting. Then, it is baked (roasted) in the oven at 400 F. This ensures the chicken tenderizes and gets infused with delicious flavors! 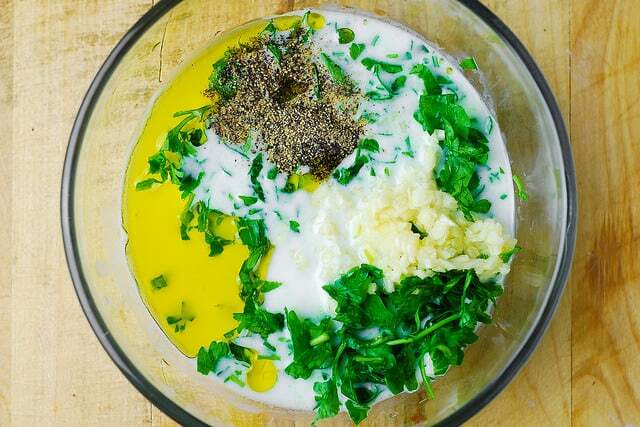 Combine buttermilk, olive oil, minced garlic, minced fresh parsley, salt and black pepper in a small bowl and whisk really well. 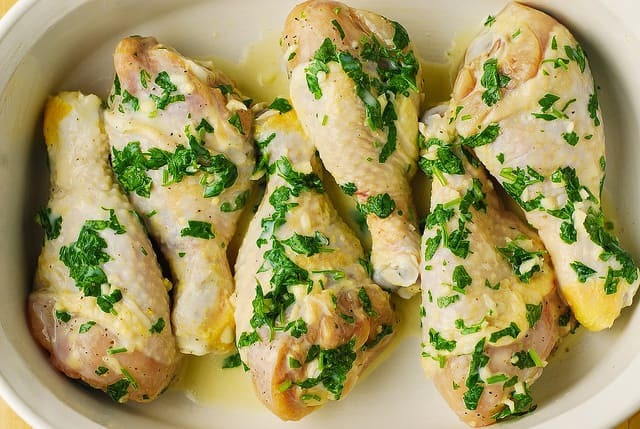 Place chicken drumsticks in one-gallon freezer bag, pour the buttermilk marinade over the chicken and distribute evenly over all chicken drumsticks. 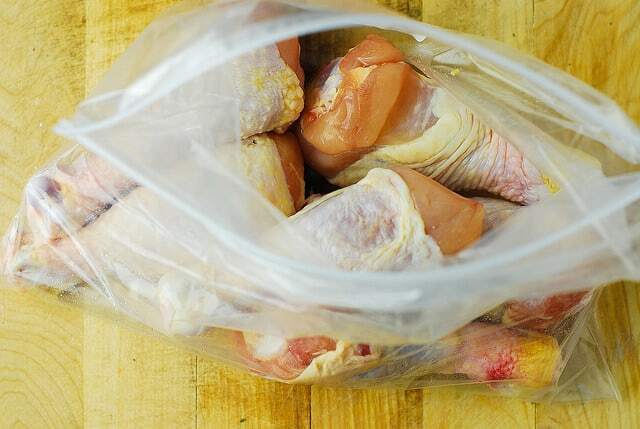 Squeeze as much air out of the freezer bag as possible and close the bag. 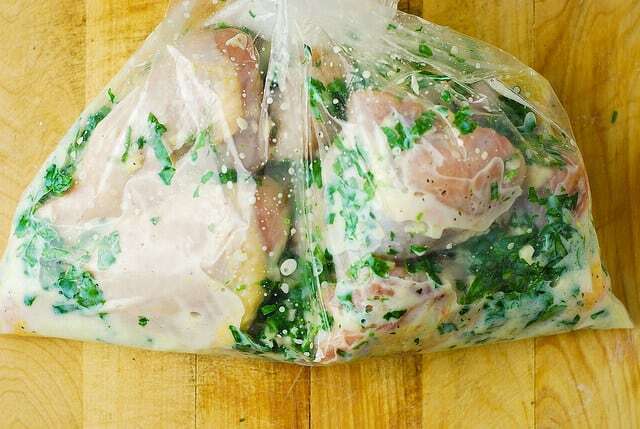 Refrigerate the marinated chicken in a freezer bag for 24 hours. After your chicken has been marinated for 24 hours, preheat oven to 400 F. Use a medium size casserole dish - I used 2.5 quart oval casserole dish ( 13 inches * 9 inches *4 inches deep). Place chicken in the casserole dish - and pour all of the marinade on top and around the chicken. Roast for about 30-45 minutes (depends on your oven), until chicken juices run clear, the chicken drumsticks are browned and scorched in spots. If needed, broil for about 5-10 more minutes to get more color. Serve immediately, use the sauce from the pan. 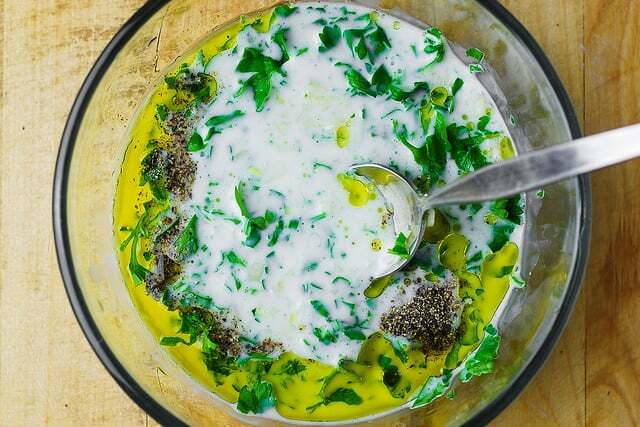 Could you substitute coconut milk for the buttermilk? Not in this recipe. Coconut milk won’t really work here. This recipe was delicious but it looked extremely unappealing as the buttermilk separated or curdled. I also cooked it at 375 (didn’t read the instructions carefully enough) and it didn’t crisp up at all so I put it on broil at the end. Any ideas why that happened to the buttermilk? I just made this dish and it was delicious. I did change a couple of important steps, though. I removed the chicken from the marinade, dried it with paper towels and browned the pieces in a touch of olive oil in a cast iron skillet,then added the marinade back to the pan and roasted the rest of the way in the oven. It came out so tender. I also found that the sauce came out completely curdled, so I made a gravy out of it. Started with just a touch of the sauce mixed with a milk and cornstarch starter, heated it in a skillet, and slowly added the rest of the sauce from the pan. You could definitely start with a roux but I wanted a GF option. Scrumptious! Everyone loved it, even my dad who is quite the picky eater lately. 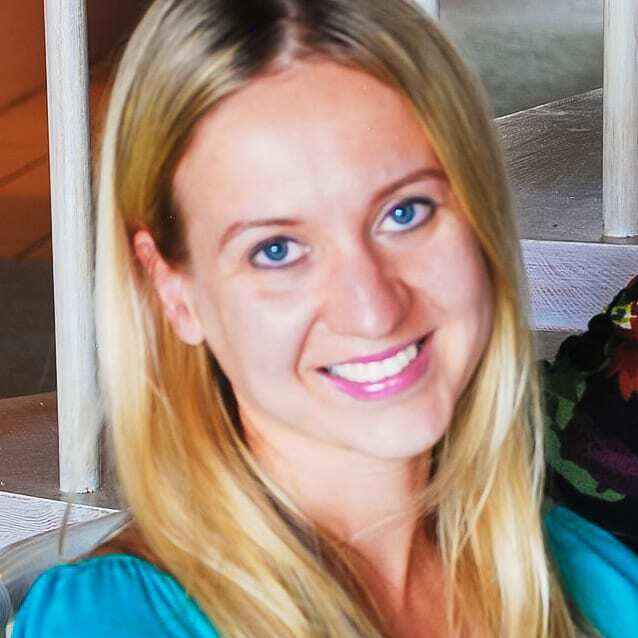 Sarah, I am glad you enjoyed this recipe! Thank you for your tips and your feedback! Can this be done with wings? Absolutely! This recipe will be delicious with wings! How many boneless skinless breasts could you use for your recipe? I am going to try it with breasts. I would use 4 thinly sliced chicken breasts. 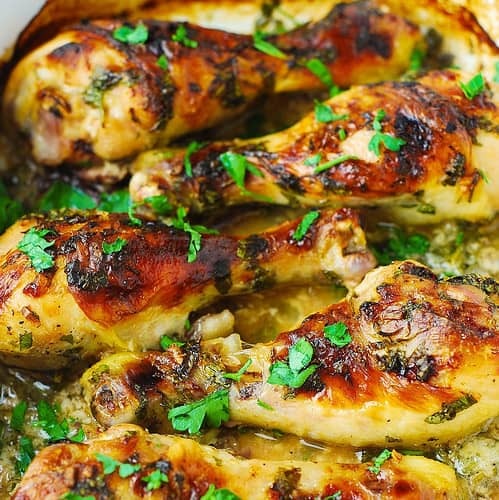 Would Bone in chicken thighs bake for the same time as the legs? This recipe looks amazing. Yes, it usually takes about the same time. Can I use boneless breasts, and would the cooking time be the same? You can use boneless breasts – you might have to bake the dish for only about 30 minutes – just until the chicken breast is cooked through. I added a couple of large dashes of cholula hot sauce and additional fresh herbs – tarragon, chives, rosemary & thyme to the marinade. I hope all that garlic is the standout! Can’t wait to cook it! When I use the bbq rather than oven I put it in one of those aluminum foil 9×13 pans. I have a gas bbq. Not sure if this would work on charcoal.